It seems like we can’t get enough of animals in Gucci campaigns, and apparently Alessandro Michele can’t either. This time around, they’ve sadly left Harry Styles behind, but the cute animals are back to steal the show once again. Ahead of Chinese New Year on February 5, the Italian house has released a brand new capsule collection. Since this year marks the year of the pig, it is only right that the campaign is filled with the cute, pink creatures. Shot in Manhattan by Frank Lebon, the images show the pigs (along with their human companions) living a very Gossip Girl life. Chilling in Central Park, waking up in front of Gucci purses and living in a house with someone polishing the chandelier. 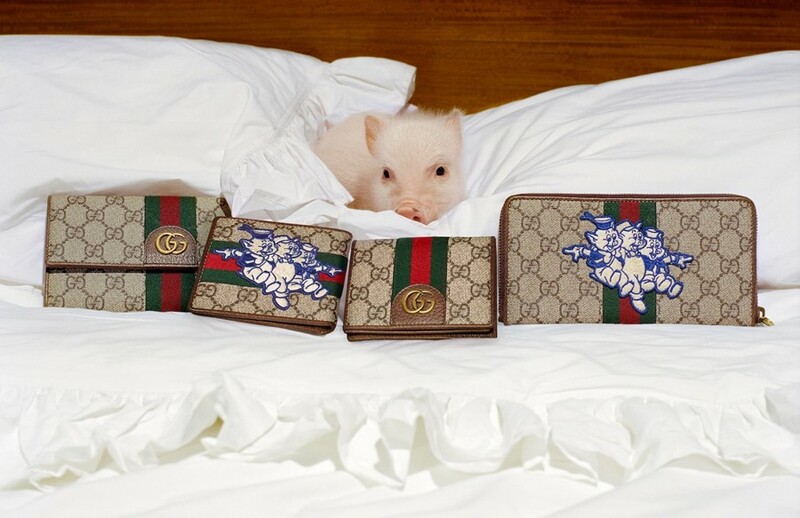 All things that you wouldn’t find regular pigs partaking in, but these are Gucci-wearing pigs after all. The 35-piece collection covers every area of your wardrobe requirements. From cosy knitwear and brightly coloured women’s pyjamas to Gucci Supreme backpacks – this collection has got you covered. The best part though, is Walt Disney’s Three Little Pigs motif, which can be found on t-shirts, handbags, and trainers too. One of the standout images from campaign features a piece bearing the phrase “Do you believe in collaborations between dead couturiers and living designers?”. While the answer to this question may be debatable, the collaboration between cute animals and living designers is definitely one to believe in and one we hope to see more of soon.